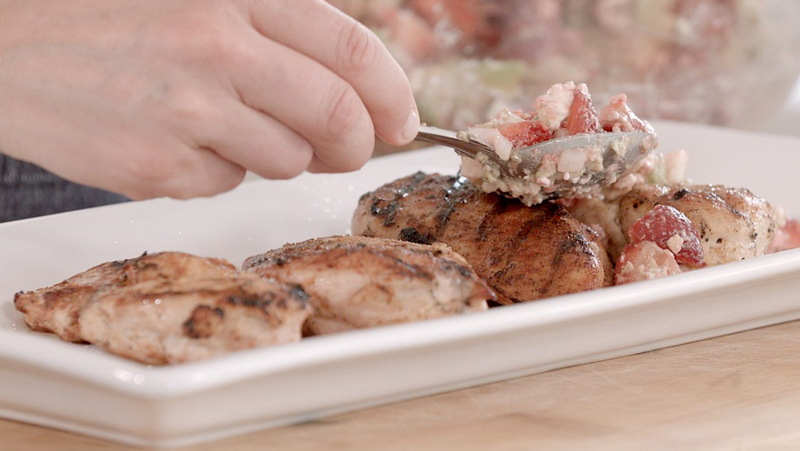 Knox’s grilled chicken with strawberry feta salsa is a refreshing summer go-to that adults and kids will enjoy. 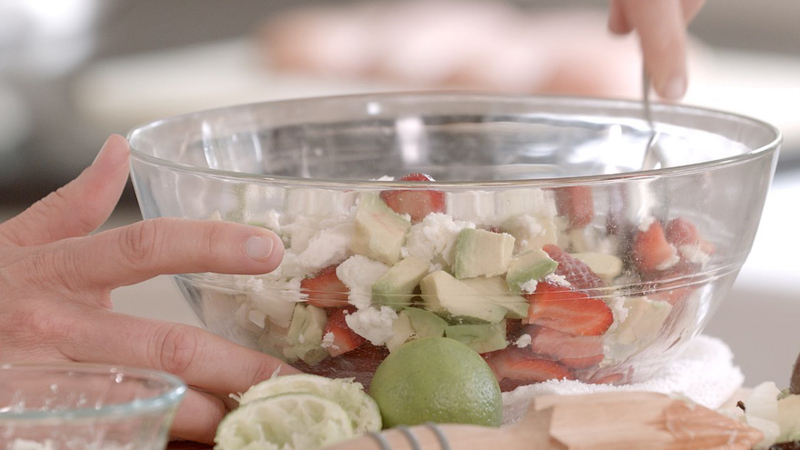 To prepare the salsa, combine strawberries, onion, lime juice, feta and oil in a medium bowl. Set aside. 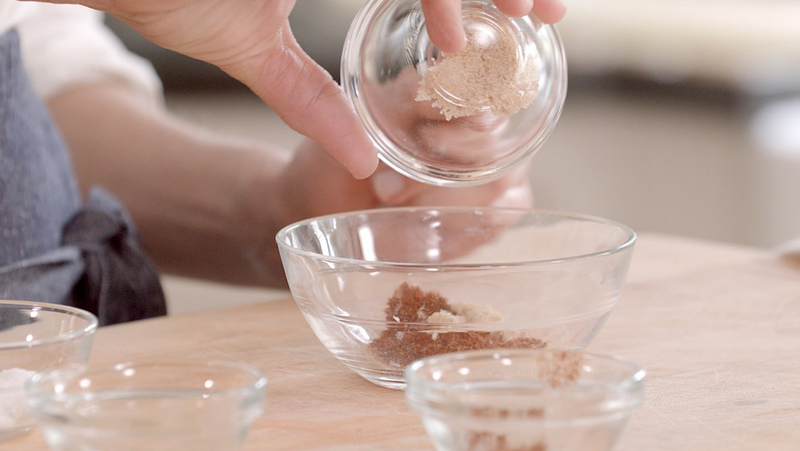 To prepare the rub, combine cumin, chili powder, sugar and salt in a small bowl. Brush chicken on both sides with olive oil and sprinkle with rub. Preheat grill or grill pan to medium heat. 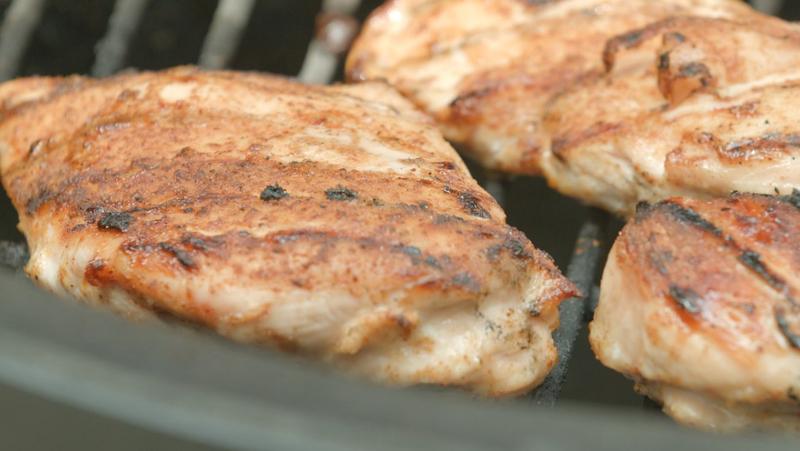 Grill chicken for 6 minutes per side or until meat thermometer reads 165°F. Loosely cover chicken with foil and let rest for 5 minutes. Add chopped avocado to salsa and season with salt and pepper. Toss gently. Top chicken with salsa and serve.